I like looking at fashion design books that feature beautiful art. It's mainly for the drawing style and there are a lot in this book. 28 fashion designers are featured in this big 224-page hardcover. Each designer comes with a one page biography and an interview with a selection of their works. There are plenty of drawing styles to check out, watercolours, brush ink drawings, pencils, computer design and even tape. There are very suggestive style that leaves much to the imagination, detailed fine art like pencil renderings, line drawings and many more. I got this book mainly to see huge variety of styles when it comes to portraying people, and actually less of the fashion itself. For fashion designers, this would be a good visual resource as well. 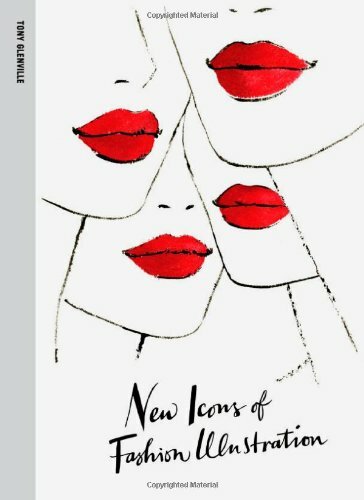 If you like this book, definitely also check out The Beautiful: Illustrations for Fashion and Style and maybe even 1,000 Portrait Illustrations.